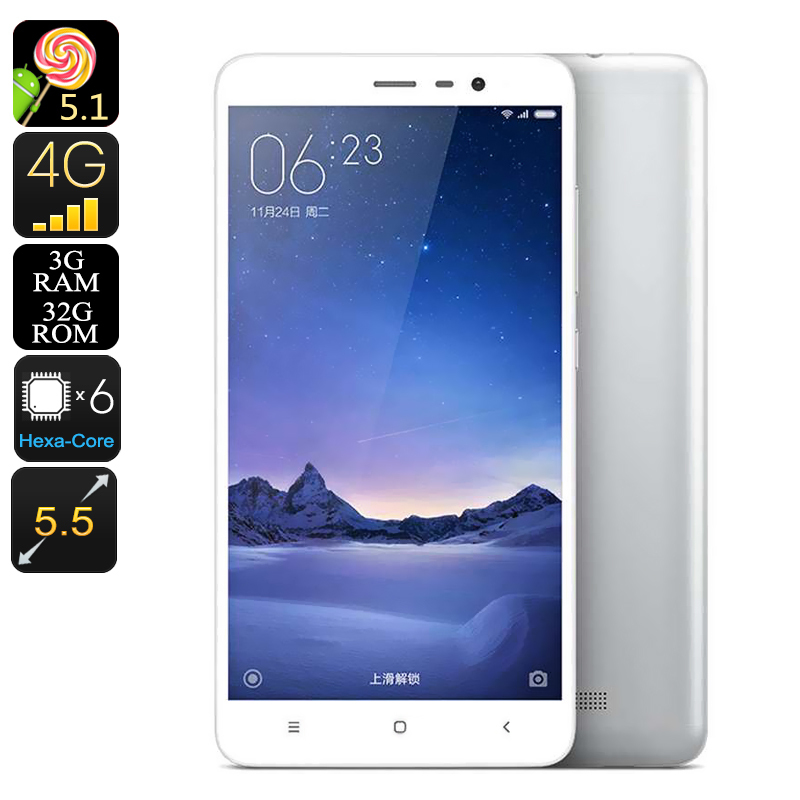 Successfully Added XIAOMI Redmi Note 3 Pro - Snapdragon 650 CPU, 3GB RAM, Adreno 510 GPU, 4G, Fingerprint Scanner, 16MP Camera (Silver) to your Shopping Cart. The Redmi Note 3 is a the flagship handset from leading Chinese phone manufactures Xiaomi, as such, everything from its premium metal body, to the Hexa Core lightening fast speeds is sure to impress. Security is top notch on the Note 3 as the ultra fast fingerprint scanner is testament to that. Protected by your unique biometric data the Note 3 is safe from misuse and ensures premium levels of security you can count on. This high performance phone has a Snapdragon 650 Processor and uses ARM's flagship cortex A72 architecture to bring split second loading times. Packing a substantial 3GB of RAM and with the Android 510 graphics processor the Xiaomi Rednote 3 delivers a fluid game playing experience. With the responsive touch screen you can enjoy all the latest that Android has to offer with countless options available from the app store. 4 G connectivity and dual band Wi-Fi with 802.11 ac supports makes for faster connections so you can stream movies and stay up to date with all your friends. Dual SIM slots make it possible to support two numbers on this Smartphone and easily swap between them, or you can add up to 128GB of extra storage should the need arise. Packing in a whopping 403 pixels per inch the Full HD 5.5 inch display brings clarity and brightness that adjusts according to your environment, so it's gorgeous in any light. A super wide viewing angle makes it easier than ever to share view with friends so no matter what angle your viewing from the images stay clear and true. When it comes to snapping pictures of your own you can rely on the 16MP rear camera to capture stunning professional quality shots. Thanks to the Phase Detection Autofocus (PDAF) the rear camera delivers rich images with pin point sharpness in the blink of an eye and lest you record sublime 1080P videos of memorable moments. The Xiaomi Redmi Note 3 Android smartphone comes with a 12 months warranty, brought to you by the leader in electronic devices as well as wholesale Android phones..